I am a big fan of the Eurovision and for the last few years Google have also been getting in on the act with an prediction of the winning song. The method used is based on the Google trends software and uses the number of internet searches for an entry to predict the winner. It will constantly change right up to the final night, but at the moment it is showing that Ireland’s entry, Jedward, will win with a clear majority. Interestingly this method predicted the winning song for the last two Eurovision finals , so there must be some merit in it. As Google Trends is really an instant measure of peoples interest in a particular phrase, could it be used to predict other results like the price of shares, property or oil? By checking specific internet search terms like ‘buy oil’ or ‘properties for sale’, it will at least give an instant indicator of interest rather than waiting for weeks for the results of the latest consumer surveys. But care should be taken. A spike in specific internet searches can be caused by problems in that asset class. So Google Trends is probably more suited to predicting the results of elections and song competitions, (Eurovision, X factor etc), rather than predicting the prices of asset classes. I have placed a bet on Jedward, Ireland’s entry, to win the 2011 Eurovision final on Saturday. So I hope the Google predictor is right again this year, and dosen’t change closer to the final night. 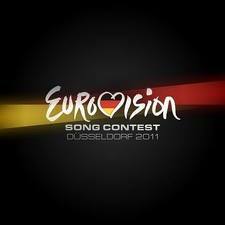 The Google Eurovision 2011 predictor can be viewed by clicking here. The Eurovision 2011 final is on the 14th May, next Saturday night, while the semi finals take place on Tuesday and Thursday night. Jedward have to qualify from the semi-final on Thursday night to make the final, while the host nation (Germany) and some of the larger countries (England, France, Italy and Spain) dont and instead go straight through to the final, because they pay the most towards the running of the European Broadcasting Union. The most successful Eurovision winners are Ireland with 7 wins, Luxembourg, France and the United Kingdom have won 5 times while Sweden and the Netherlands won 4 times. It was worth looking at the trends and obviously Jedward did well on the night but it seems that Chaos Theory needed to be factored into the equation too! I didn’t have a bet on the Eurovision 2011 outcome but I think for Eurovision 2012 I’ll put my extra money on the pizza to be consumed at the Eurovision party! Yes, it seems there are limits to the mighty Google, and also that an interest in Jedward does not reflect an intention to vote for them. it is seriously really helpful and powerful.folks will like your post really a lot.thanks for adding such a terrific write-up. hi quality articles here. Your page deserves to go viral. You need initial boost only.